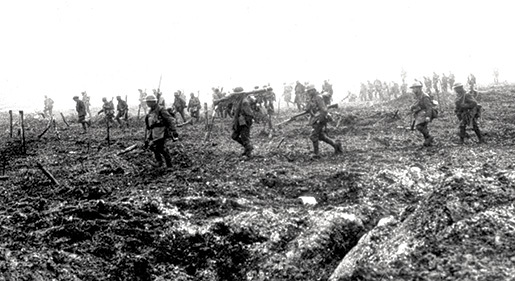 Canadian infantry advance during the Battle of Vimy Ridge. Instead, it was one of the most violent periods in recorded history: a time when the world went over the edge. 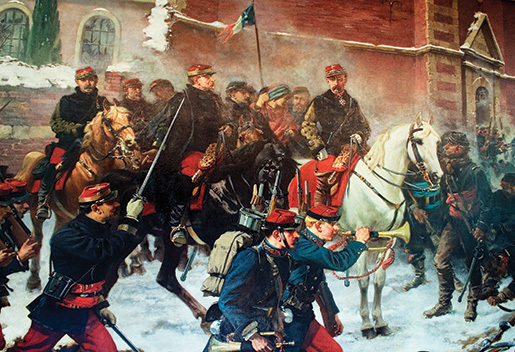 The origins of the First World War can be traced back to the Franco-Prussian War of 1870-1871. That conflict not only led to the creation of a new German Reich incorporating the many independent German states into a powerful nation, it also left France thirsting for revenge and the return of the provinces of Alsace-Lorraine, which she had been forced to cede after her defeat. Searching for support, France concluded a defensive alliance with Russia. Germany, in response, concluded a similar alliance with the Austro-Hungarian empire, and they were later joined by Italy. 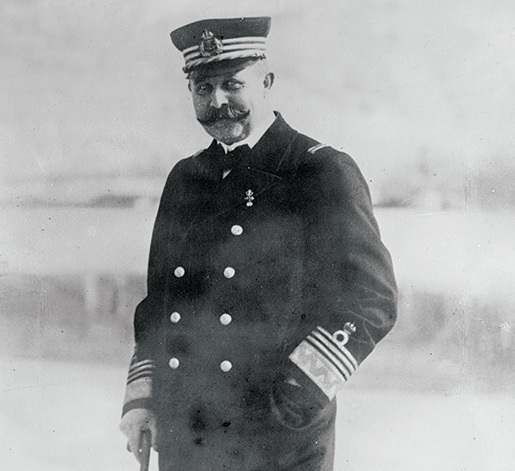 In the late 1890s, Germany began to build a powerful high seas fleet. This was viewed as a threat by Britain, who in 1904 concluded an Entente Cordiale (an alliance in all but name) with France, which was later extended to include Russia. By 1914, therefore, Europe had split into two rival camps and the danger was that any incident involving one member of these camps might drag their allies into armed conflict. The Balkans was one area where such an incident might take place. The 19th century German chancellor, Otto von Bismarck, had believed that a major European war would arise from “some damned foolish thing” in the Balkans. Once part of the Turkish Empire, by the early 20th century most of the Balkan peoples had won their freedom through armed struggle, but these small and fiercely nationalistic countries were split along ethnic, religious and linguistic lines. The most powerful and aggressive Balkan nation was Serbia, a Slavic country that enjoyed the protection of Russia, which herself had aspirations in the area. Russian support of Serbia inevitably brought the Czar’s government into conflict with the Austro-Hungarian Empire, which also had territorial ambitions in the Balkans. In 1908 tensions were heightened when Austria-Hungary annexed the two principalities of Bosnia-Herzegovina, incurring the enmity of Serbia, which regarded these territories as part of a “Greater Serbia.” War was averted, however, by hardworking diplomats, as it was during a number of other crises in this unstable area. By the second decade of the 20th century, however, a belief arose among the leaders of some major powers that a war could solve both their external and internal problems. This belief was particularly strong in Germany, which possessed the most powerful army in Europe and the second-largest navy in the world. Kaiser Wilhelm II, the German ruler, was an erratic sabre-rattler and the instigator of several crises. 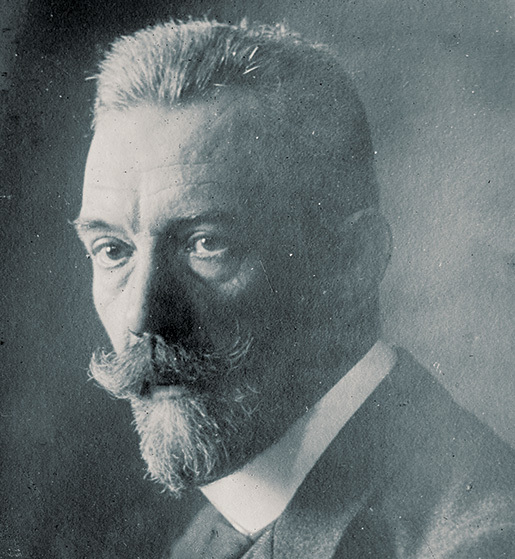 But Wilhelm believed, as did many other European rulers, that should such a major war break out, it would follow the pattern of recent European conflicts—brief in duration and clear in outcome. 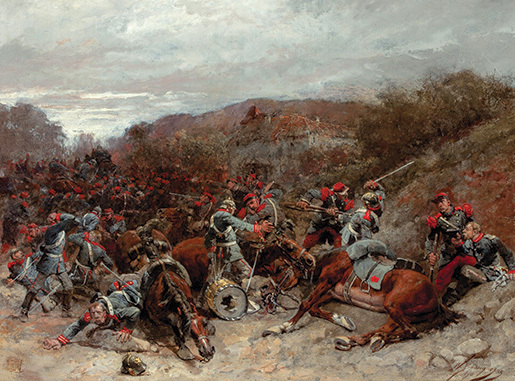 FRANCO-PRUSSIAN WAR: French forces on the attack near Bapaume, France, January 1871. Although they thought a future war would be short, most professional soldiers believed it would be different from previous conflicts. Armies would be larger, as most major nations had some form of conscription in place, and with the advent of railways and telegraphs, these large armies could be moved, supplied and commanded over long distances. The raising, training, arming, equipping, deploying and supplying of such large armies required not only a professional military staff, but also a greater proportion of a nation’s economic output. Thus, the nation that had the largest and most efficient industrial base was most likely to be victorious. Unfortunately, very few listened to this prescient man. Bloch placed great emphasis on the recent advances made in weaponry, which had resulted in a quantum leap in its lethality. The infantry of major armies were now armed with breech-loading magazine rifles with an accurate range of 1,000 yards, and a rate of fire of up to 12 rounds per minute. They also possessed machine guns capable of firing 400-450 rounds per minute at nearly the same range. The artillery of major powers consisted of “quick firing” breech-loading guns with recoil systems that permitted them to stay on the targets after every round and were capable of firing 15 rounds per minute. Many of these lethal new weapons were used in the Russo-Japanese War of 1904-1905 and military observers noted the increasing use of trenches and the tremendous losses suffered when infantry tried to attack these same trenches, particularly if defended by machine guns. Yet, despite all the warning signs that a future conflict would require a huge economic effort and result in high casualties, professional soldiers persisted in thinking that a future war would be mobile, brief and won by the offensive spirit. 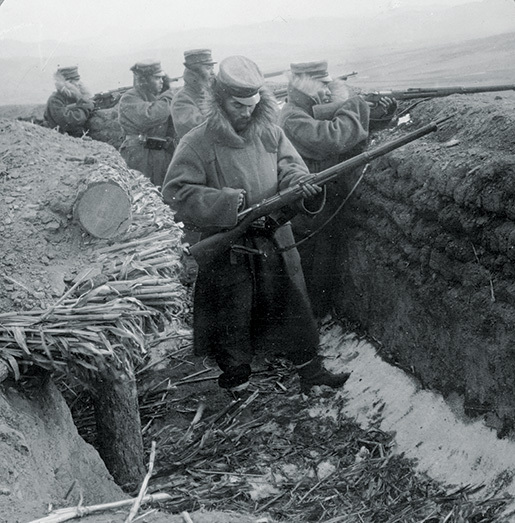 RUSSO-JAPANESE WAR: Japanese forces fire from their trenches, Manchuria, April 1905. Although distant from the increasing tension in Europe, Canada was affected. As Britain pulled back her navy to home waters to face the German naval threat, she called on the Dominions to strengthen their own military and naval forces and to make greater contributions to Imperial defence. Prime Minister Wilfrid Laurier’s Liberals, in power from 1896-1911, tried to keep Canada’s commitments as minimal as possible but Laurier was finally forced to increase defence spending and to create a Canadian navy. Canada’s involvement in the 1899-1902 war in South Africa, which witnessed more than 7,000 Canadians fighting alongside Britain, had increased national awareness of defence matters. The defence budget rose from $1.6 million in 1900 to $7 million in 1911. The strength of the permanent or regular force was increased and engineer, intelligence, logistic, medical and staff elements were created. In those same years, the strength of the militia nearly doubled from 35,000 to 66,000, and, more importantly, increased funds were allotted for training, meaning more and more effective men in service. When Robert Borden’s Conservatives came to power in the federal election of 1911, defence spending was increased—by 1914 it was $11 million. This increase was the work of Sam Hughes, Borden’s minister of militia and one of the most infamous personalities in Canadian public life. A former railway promoter and newspaper editor as well as a veteran of South Africa, Hughes was an energetic, jingoistic, egotistic and supremely self-confident man, highly critical of the faults of others and completely blind to his own. So we won’t have a head in the morning. Hughes was determined that, should such a conflict begin, Canada would be able to send overseas an infantry division and a mounted brigade equipped “to meet the requirements of active service in a civilized country in a temperate climate”—in plain words, to serve in Europe. By the summer of 1914, Canada’s armed forces, although nowhere near the strength of their European counterparts, were not insubstantial. The permanent force consisted of 3,110 personnel while the militia had 74,213 officers and men, of whom 55,000 underwent training at summer camps that year. The army was equipped with 200 modern artillery pieces and the .303 calibre Ross rifle, a magazine-fed weapon manufactured in Canada which was highly accurate. Although the infant Royal Canadian Navy possessed only two old cruisers, His Majesty’s Canadian Ships Niobe and Rainbow, stationed respectively at Halifax and Esquimalt, B.C., it did have in place a basic administrative staff in each major port, capable of controlling shipping. The Canadian armed forces were small but they could serve as a foundation for expansion, should a war break out. The Canadian army followed British doctrine and, derived from their experience in the South African war, Britain put great emphasis on marksmanship. By 1914 a Canadian militiaman had to score a minimum of 42 out of 70 possible points on the ranges to get the few cents extra “efficiency pay” to add to his 50 cents a day camp pay, and an enlisted man had to get efficiency pay before he could gain promotion. Canadian General Sir Sam Hughes (centre) had strong opinions about others and about how Canada should respond to the outbreak of war. Unfortunately, Otto von Bismarck’s dire prediction about the Balkans turned out to be correct. On June 28, 1914, a Serbian militant, Gavrilo Princip, assassinated the Archduke Francis Ferdinand, heir to the Austro-Hungarian throne, and his wife in Sarajevo, the capital of Bosnia. In the following weeks, however, the Canadian press paid little attention to what became an escalating crisis in Europe. After making sure of Germany’s backing, on July 23, Austria-Hungary issued a 10-point ultimatum to Serbia. The Serbs agreed to all the points except one, but in response Austria-Hungary declared war on Serbia. It now became a matter of plans and carefully orchestrated train timetables as the mobilization process, once started, was almost impossible to stop. Therefore, when Russia mobilized in support of the Serbs, Germany, who had already begun her own mobilization, requested that St. Petersburg halt its process. The Russians refused and Germany declared war on Russia on Aug. 1. In accordance with her alliance with Russia, France mobilized that same day and, two days later Germany declared war on France. 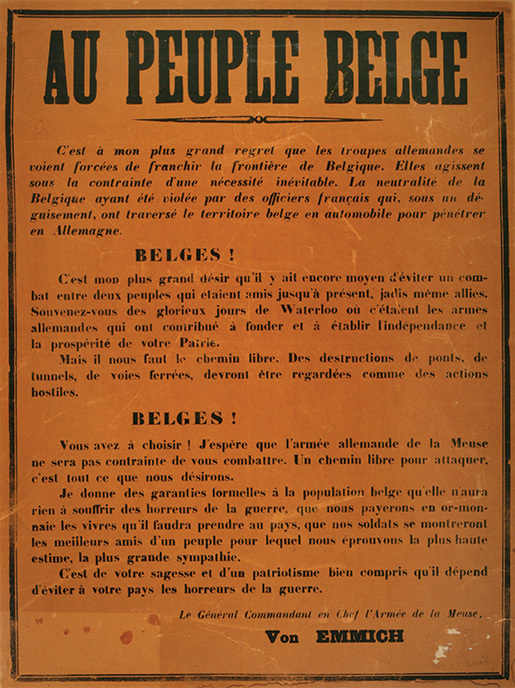 DARKNESS DESCENDING: A public notice from the German army to the people of Belgium in 1914 states that the German army needs to cross Belgian territory in order to attack France. In exchange it promised the Belgians friendship and monetary compensation. However, these promises were broken as soon as the Germans overran the country. Throughout much of this escalating crisis, Canada appeared blissfully unaware of the coming storm. Ontario went to the polls the day after the Sarajevo assassination with the Liberals running against the incumbent Conservatives on a temperance platform of banning the sale of liquor. To nobody’s surprise, the Tories won a landslide majority, their fourth in succession. In July the big news was the investigation into the sinking of the liner Empress of Ireland the previous May in the St. Lawrence River with the loss of more than 1,000 souls; troubles in Northern Ireland; and the depredations of Pancho Villa against Texas border towns. There was also the claim of a New York lawyer—on what grounds it is not entirely clear—that the introduction of the new tango had resulted in a 50 per cent increase in the divorce rate. Throughout July 1914, Britain worked hard as an “honest broker” to bring an end to the European crisis. This work was to no avail. By the end of the month, Canadians began to pay more attention to the international news. On Sunday, Aug. 2, 1914, Germany requested Belgium to permit free passage of German troops through that small nation to attack France. Belgium refused and since Germany was a signatory, along with Britain, to an 1839 treaty preserving Belgian neutrality, London presented an ultimatum to Germany on the morning of Tuesday, Aug. 4, 1914, that, if she did not remove her troops from Belgium by midnight, Britain and Germany would be at war. But Britain was firm and her empire was solidly behind her. In 1914, when Britain was at war, Canada was at war and, as the minutes and then the hours ticked away throughout that summer Tuesday, crowds began to gather outside newspaper offices across Canada, whose staffs posted bulletins received from the wire services—the fastest form of communication at that time. Many militiamen reported to their armories and some units were actually undertaking recruiting. In Halifax the employees of the Chronicle newspaper projected the latest bulletins as slides on the walls of adjacent buildings. In Toronto—where, ironically, the theme of the forthcoming Canadian National Exhibition was to be “1914: The Year of Peace” people gathered anxiously in front of the city’s six newspaper offices. In Ottawa by late afternoon, Sam Hughes lost his patience and, convinced that Britain was going to “skunk it,” ordered the Union Jack flying over the Militia Department to be hauled down. “Fighting Sam” did not have to worry. At 7 p.m. the wire services reported that Germany had not withdrawn her troops from Belgium and war was imminent. 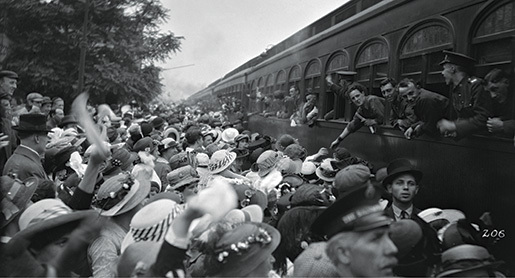 A troop train loaded with Canadian soldiers leaves Hamilton, 1914. Toronto went wild. Crowds roamed the city centre until the early hours of the next morning. In Calgary, the orchestra at the Palliser Hotel and the musicians at the picture shows interrupted their programs to play the national anthem, God Save the King, to thunderous applause. In Edmonton, an estimated 10,000 people watched an impromptu parade march through the streets blocking all traffic. Led by a veteran on a grey horse and accompanied by bands playing patriotic marches, this procession featured a truck draped with a large banner reading: “Loyal Call to Arms. 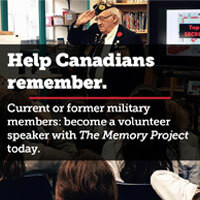 Veterans, Ex-Service Men and Volunteers, Fall in Line!”—and they did by the hundreds. And so Canada went to war in 1914. Nobody, however, was particularly worried because Lloyds of London was giving even money that the whole thing would be over by Christmas. Tragically, it would last much longer and cost the lives of nearly 67,000 Canadians and at least 10 million combatants from other nations. The violence also cost the lives of millions of civilians. The outbreak of war in 1914 pushed the world into a dark and bloody abyss that a century later still shocks us. It reminds us of how quickly disagreements between people and nations can spiral out of control, destroying lives and shattering societies. Mankind apparently learns lessons from such awful episodes—but all too often, it ignores them. READY TO LEAD: Officers and members of the 26th Battalion at Saint John, N.B., 1915. When war broke out in August 1914, many were surprised by how quickly it came about. However, the events that led to the First World War began unfolding decades earlier as relations between countries and empires took turns for the worse. Efforts to unify Prussia and the German kingdoms are completed. 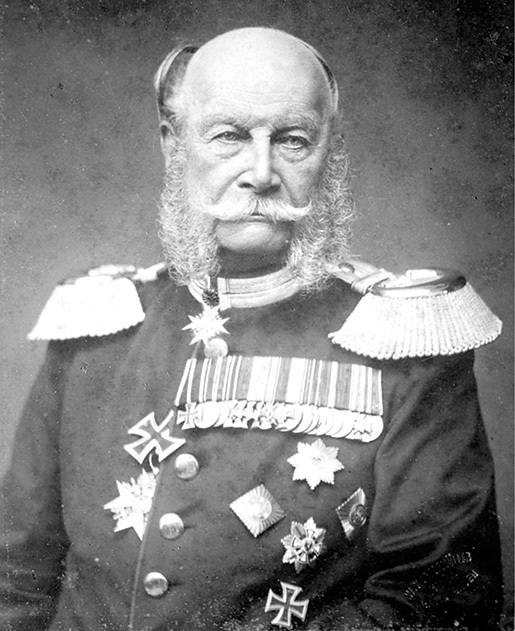 King Wilhelm I (1797-1888) is named first German Emperor. The Franco-Prussian War ends. The French provinces of Alsace and Lorraine are annexed by Germany. King Wilhelm I dies. His son, 29-year-old Wilhelm II (1859-1941), becomes the Kaiser of Germany. 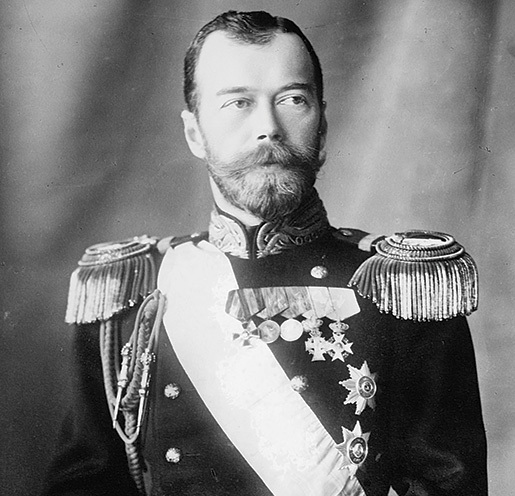 The eldest son of Tsar Alexander III, Nicholas II (1868-1918), is crowned Tsar of Russia. Relations between Germany and Russia begin to sour. With Britain and France ruling much of the world, Germany decides to build a naval fleet large enough to engage the Royal Navy. 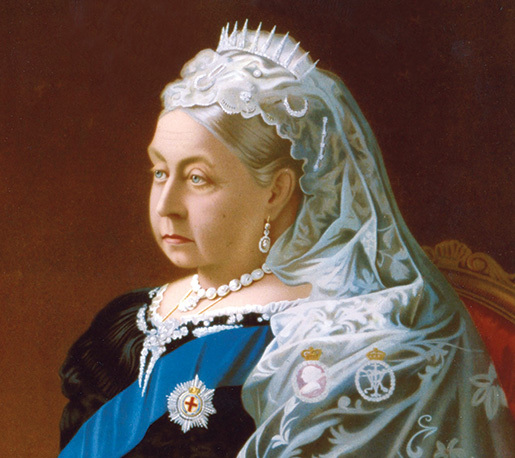 Great Britain’s Queen Victoria (1819-1901), who reigned for more than 63 years, dies at age 81. She is succeeded by her son Edward VII. The Russo-Japanese War, which began on Feb. 8, 1904, ends in Russian defeat. Major civil unrest erupts in Russia. Austria-Hungary annexes Bosnia, which was formerly controlled by the Ottoman Empire. Italy declares war on Turkey to gain colonies in North Africa, creating more tension in Continental Europe. By the terms of a treaty signed in 1912, Turkey concedes its rights over Tripoli and Cyrenaica (modern Libya) to Italy. British and French sign a naval agreement that promises Royal Navy protection of the French coastline. In return, the French agree to help protect the Suez Canal. The First and Second Balkan wars deprive the Ottoman Empire of most of its remaining territory in Europe. Nineteen-year-old Serbian nationalist Gavrilo Princip (1894-1918) assassinates the Archduke Francis Ferdinand, heir to the Austro-Hungarian throne, and his wife Sophie in Sarajevo, the capital of Bosnia. Russia, an ally of Serbia, mobilizes her armed forces. Germany declares war on Russia and begins mobilizing her armed forces. Britain delivers ultimatum to Germany, demanding it withdraw its forces from Belgium and honour that country’s neutrality; Belgium severs diplomatic relations with Germany; Germany declares war on Belgium; German troops enter Belgium; Britain declares war on Germany. Austria-Hungary declares war on Russia; Serbia declares war on Germany. France welcomes the first squadrons of the Royal Flying Corps. 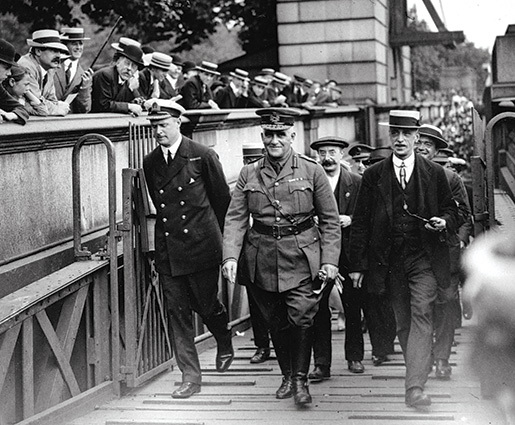 First members of the British Expeditionary Force arrive in France. 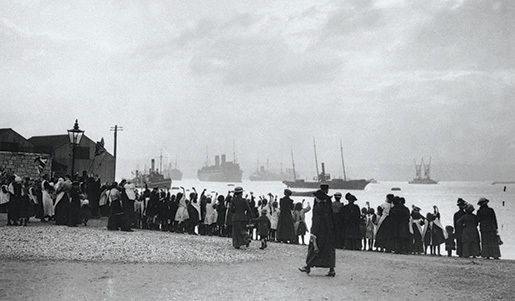 Canadians arrive at Plymouth, England, and are greeted by cheering crowds.